SPLASHIN GOOD FUN -- Goofy races round the curves of Whoop-'N-Holler Hollow at River Country. The wild slide is just one of many white water thrills by the Ol' Swimmin' Hole in Ft. Wilderness Campground, just across Bay Lake from the Magic Kingdom. 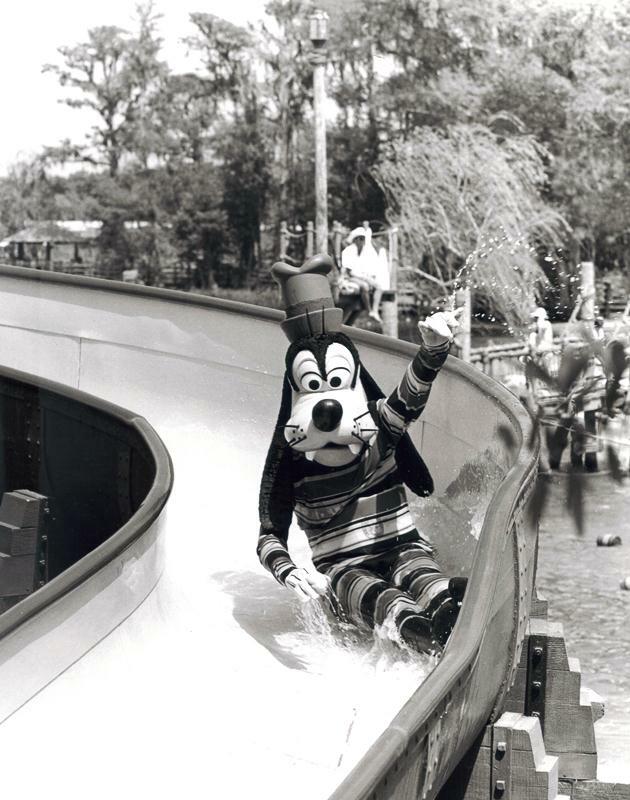 Loved River Country...although I only went twice in '77 and '79. Mostly I remember the seams between slide sections as being "rough on the rump" and if you happened to flip over in a tube on the raft ride, you got a rather nasty bump on the head from the cement channel. Still it was a ball! Steve - I remember how tough River Country was on the body too. Although, at least in my case, the park was no rougher on my body than I was on it at home!